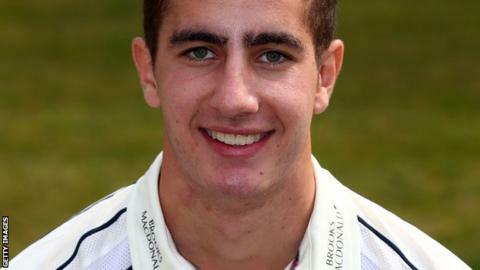 Middlesex wicketkeeper-batsman Stephen Eskinazi has signed a new two-year contract with the club. The South Africa-born 21-year-old right-hander will now remain at Lord's until the end of the 2017 season. Eskinazi was a regular for Middlesex's Second XI this year and made his first-class debut in last month's victory over Yorkshire at Lord's. "Stephen thoroughly deserves a new contract," managing director of cricket Angus Fraser said. "Once again he was our top run-scorer in the second eleven and was rewarded for this with a first-class debut. "He looked comfortable against high quality bowling, which is a good sign for the future."